The word crescent is derived from the Latin verb crescere, meaning "to grow". This New Orleans centered entrepreneurship blog is meant to be inspirational and aspirational. It is part call for a community-driven resurgence of sustainable venturing in a city recovering from tragedy and part love letter to the entrepreneurs making it happen. Sometimes opportunities for entrepreneurship are literally laid down at your feet. As I've started getting to know New Orleans, I've begun to notice the little things that give the city its world renowned charm. Most people remember the beautiful houses along St. Charles, the iconic and noisy streetcars (no wonder he had to scream Stella so loud), or the balconies that hover over the streets of the French Quarter. I was just as interested in the little things, like the ever-present fleur-de-lis that are emblazoned all over the airport, tattooed on the locals and proudly displayed in flags hanging over awesome porches everywhere. 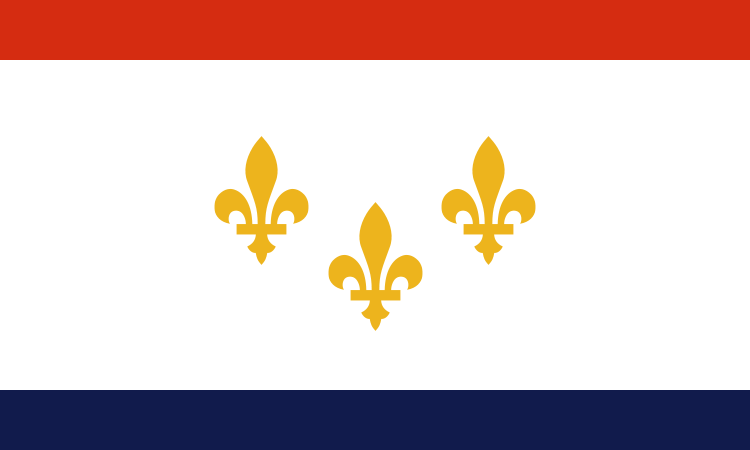 The flag of the city of New Orleans has three fleur-de-lis, derived from is the yellow, 6-petaled lilies that surround the River Luts in the Netherlands. It also became a symbol of French royalty indicating divine favor. A less prevalent, but also very cool looking New Orleans artifact, is the water meter cover made by the Ford Meter Box Company of Wabash, Indiana (aka "the company that cares"). In1898 Edwin Ford, a superintendent of the waterworks for Hartford City, filed a patent application for the Ford Meter Box. As superintendent, Ford wanted to make sure that customers were not wasting water and costing themselves and the city money. So, in the basement of his house, Ford designed and produced the first meters and boxes. These boxes helped protect meters from the harsh Indiana winters as well as from general wear and tear. Soon, Ford agreed to supply neighboring communities with the meters. 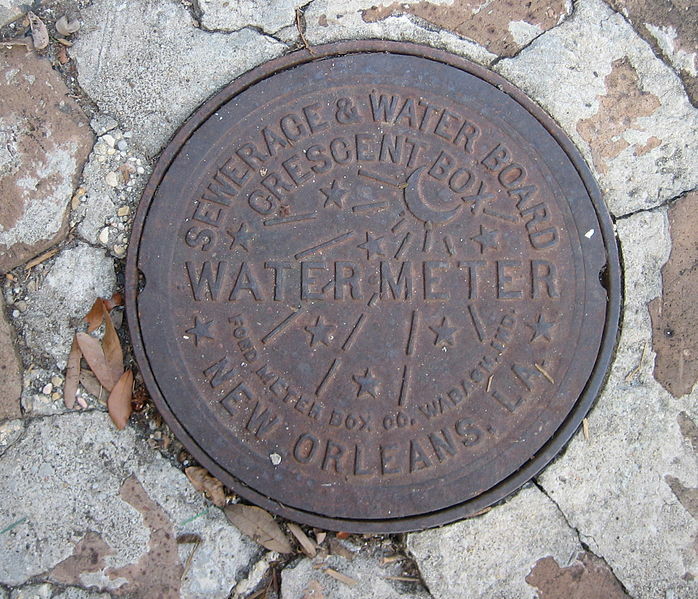 Eventually, news of the meter boxes reached Louisiana where boxes were desperately needed to protect meters - while some meters were installed in basements, the lack of basements in New Orleans and Baton Rouge called for boxes to be installed in the ground. The beautiful New Orleans meter box cover bearing the crescent moon and shining stars was designed by Edwin Ford in the early 1920s after a visit to the crescent city. By the mid twenties, nearly half the company's sales were to the City of New Orleans. There was a time, however, when officials decided to replace the decorative covers in the CBD with plain ones to see if it would stop thieves from pilfering them. Over time the 9 pound meter box covers became popular with tourists and with locals. For a while, even though it is very illegal, people stole the covers as souvenirs, dragging them through airports along with other treasures. Of course, tightened airport security has made it more challenging to pull off. Others have turned the popularity of the covers into a business. Local jewelers have fashioned earrings and pendants out of the design while others have created doormats and mouse-pads. You can even find merchants selling water meter cover paraphernalia on sites like Etsy.com (http://www.etsy.com/search?q=new+orleans+water+meter&page=1&ref=related). It is interesting to see how Edwin Ford's entrepreneurship enabled the efforts of entrepreneurs 100 years later. It is a testament to the power of good design and to the importance of retaining the little things that give places valuable character. In fact, as I watched the closing ceremony for the Olympics in London I noticed the delegation from the Rio 2016 Olympics projected the famous Rio sidewalk designs onto the performance space. It triggered my own nostalgia and reminded me that every city has those things that make it unique. I look forward to seeing what other little things make New Orleans unique and sharing them with you. Is there anything small, quirky and charming about your city? Have entrepreneurs leveraged it for profit or charity? Excellent post! Streetcars are noisy, no wonder he had to scream Stella so loud: very funny, I'll be laughing the whole day. Thanks for that! Keep up the good work. Thanks for this wonderful history lesson Felipe! If it's with you I'm going to share the link on my blog as I'm writing this month about manhole covers. Sorry for the disturbingly slow reply - I've been gunning for tenure at Loyola and let my blog dreams fall by the wayside. Please post the link to your article here! I read this article as I am wearing one of the infamous NO water meter necklaces. I got it in New Orleans years ago and wondered why it was so popular! It's beautiful and I love it! Please post the link here - I would love to read it! Great post! I love NOLA, and enjoyed this article very much! One of the locals in NOLA told us the stars on the water meter covers represent the path of the river but I haven't been able to confirm that. Is there any truth to this? I can see it now that you mention it, but I had never heard it before! As a young 17 year old college student, I'm ashamed to say, my date and I took one of these covers from a downtown sidewalk. 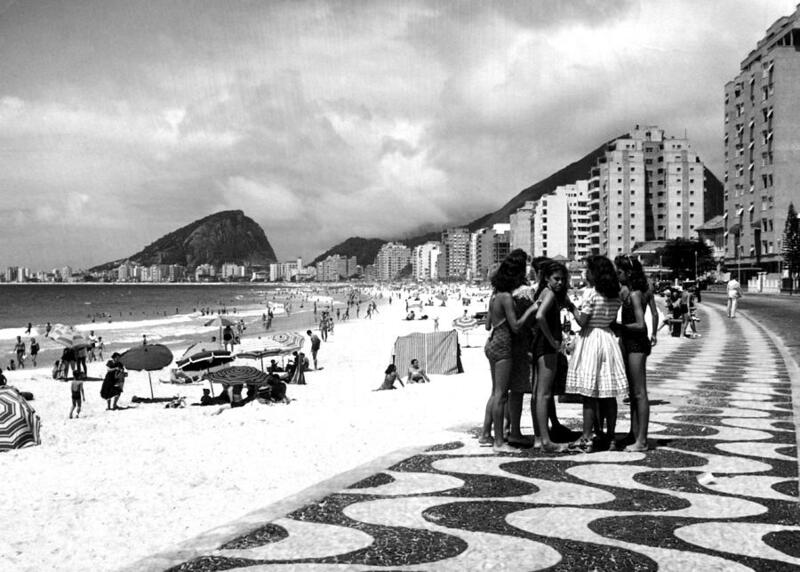 In the Early 70s. I now shiver to think someone may have taken a misstep inside the hole we left open. I know personally of two people who have suffered tragic leg and foot injuries after having stepped inside an uncovered water meter hole while walking along a New Orleans sidewalk at night. Oh, the ignorance of the young mind!